I love chia pudding, in fact it’s my go-to breakfast most days of the week. You don’t really need a recipe to make chia pudding, simply mix chia seeds with non-dairy milk and you add-ins of choice and you’re all set however, these 15 amazing vegan chia pudding recipes are just too good not to share. From healthy desserts, to snacks and breakfast, chia pudding can be enjoyed anytime. 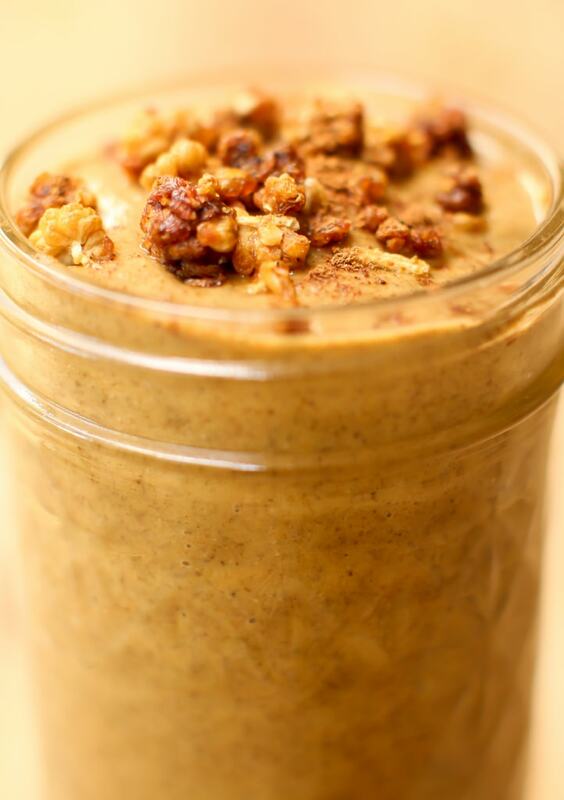 Eat it plain or top it with yummy ingredients like peanut butter and banana. Aside from being the key ingredient in chia seed pudding, the amazing chia seed offer ton of great health benefits. They’re high in antioxidants, fibre, protein and omega-3 fatty acids as well as minerals such as calcium, phosphorus and magnesium. Chia seeds are a particularly good addition to a plant-based diet for their high levels of calcium, omega-3 and protein. They’re also an amazing hydrator and can be used to make an excellent all-natural energy drink. 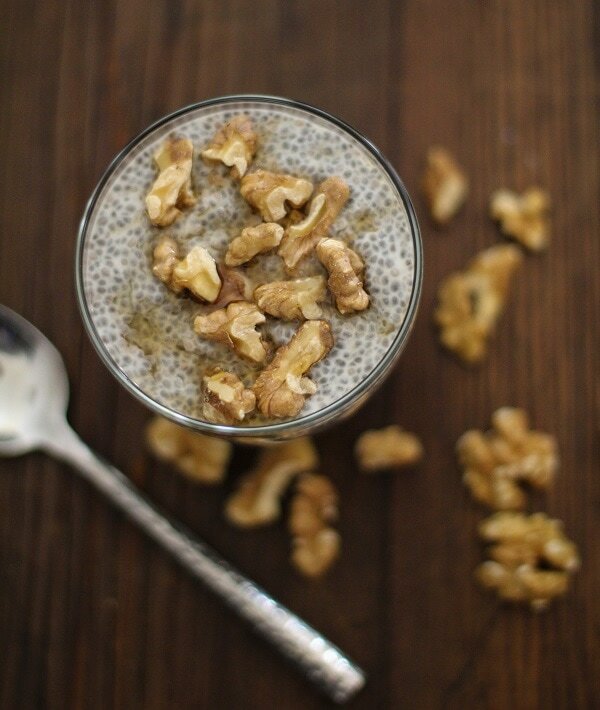 To make these recipes, you’ll want to stock up on some chia seeds! There are some good options and deals available on Amazon, try these, these or these to get started. Chia seed pudding is very easy to make and can range from a simple breakfast to a decadent dessert, as you’ll see below. Enjoy! 1. 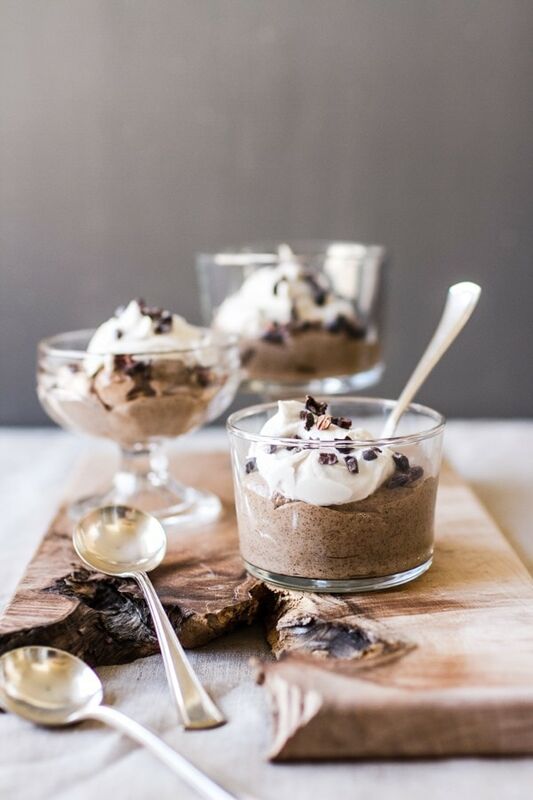 Overnight Chocolate Chia Seed Pudding by Minimalist Baker: 5 simple ingredients, naturally sweetened, can be made blended or unblended. 2. 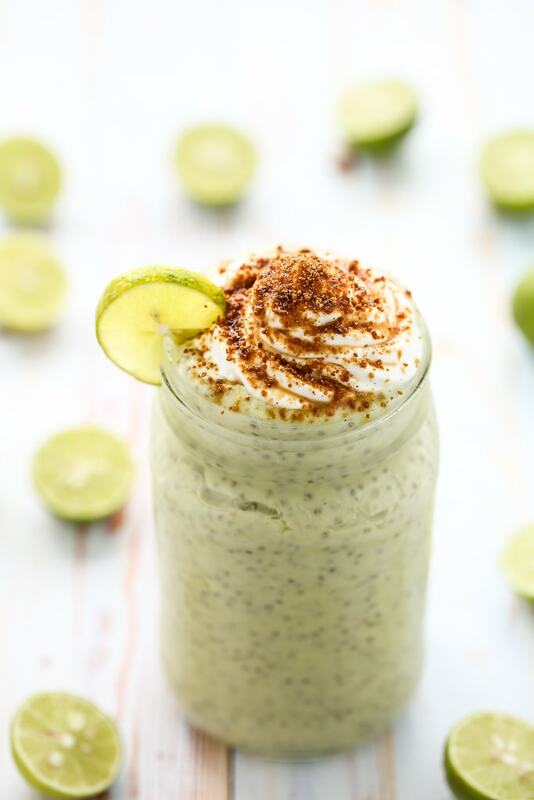 Key Lime Pie Chia Pudding by Blissful Basil: A decadent dessert chia pudding, fresh and tangy featuring avocado and coconut. 3. 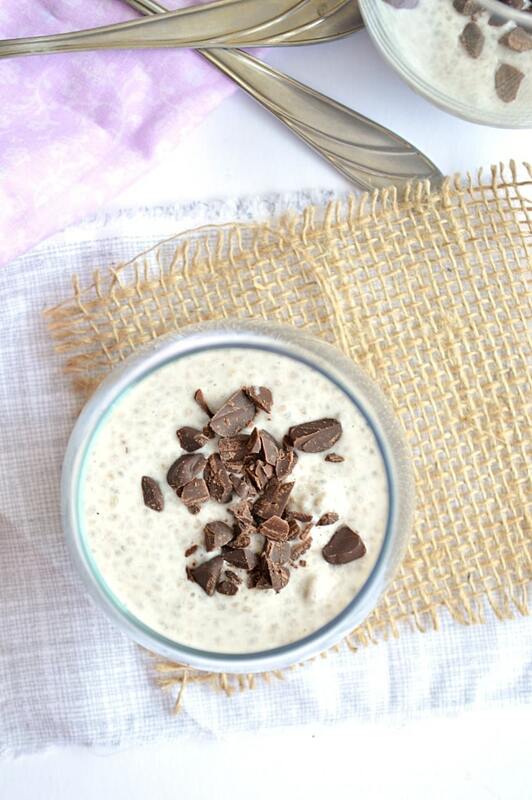 Almond Joy Chia Pudding by House of Yumm: You only need 3 ingredients plus optional chocolate to make this simple snack, breakfast or dessert. 4. 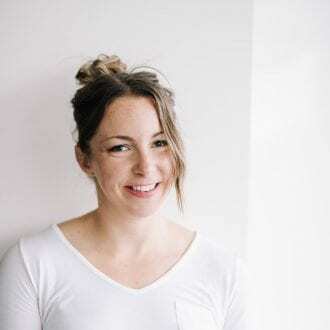 Maple Walnut Chia Seed Pudding by Roasted Root: The classic flavour combination of maple and walnut come together in this superfood-packed version of chia pudding. 4 simple ingredients. 5. Peanut Butter Chia Pudding with Cinnamon Apples by Connoisseurus Veg: A simple, 5-ingredient peanut butter chia pudding gets topped with beautiful, decadent, cinnamon-simmered apples. Fall + winter breakfast bliss. 6. Creamy Pumpkin Spice Chia Pudding by Feasting on Fruit: You only need 5 simple ingredients to make this perfect fall-inspired healthy breakfast or snack. 7. 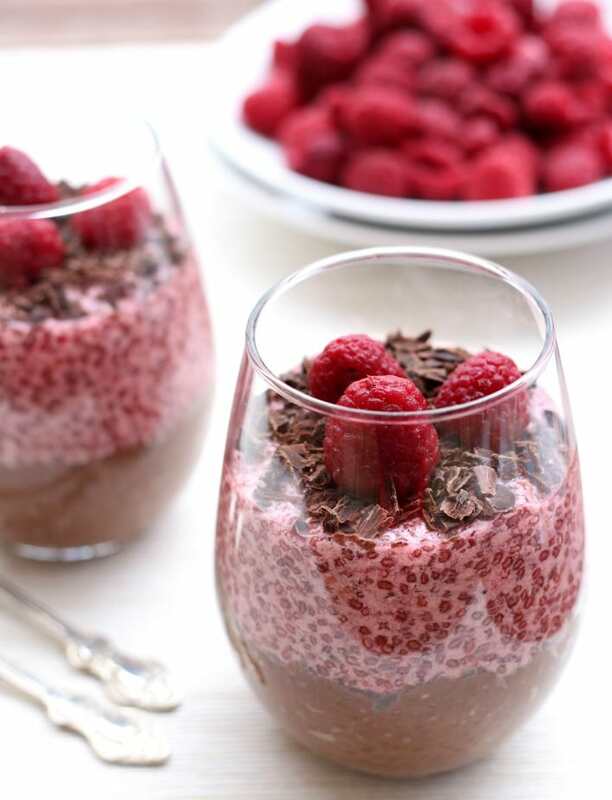 Chocolate and Raspberry Chia Pudding by Maria Ushakova: Fancy enough for dessert, healthy enough for breakfast, minimal ingredients required. 8. 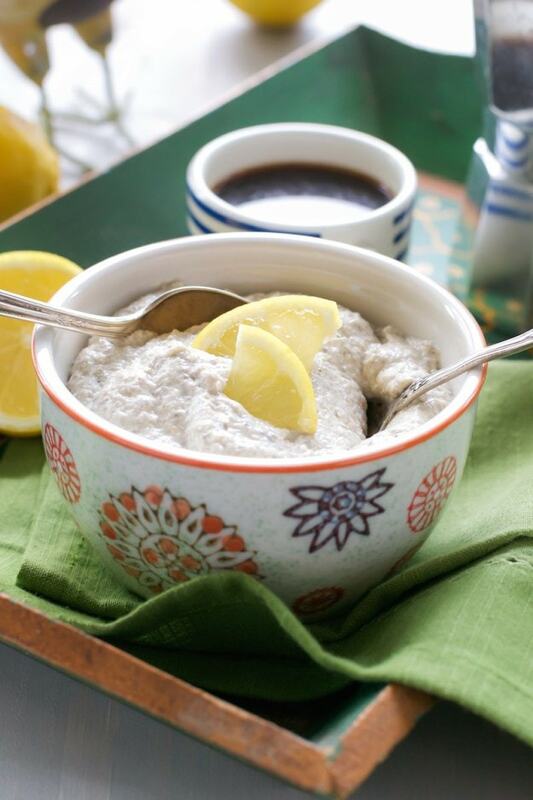 Vanilla Chai Chia Pudding by Blissful Basil: Sweet vanilla and chai spices are whisked into this nutrient-rich chia pudding. 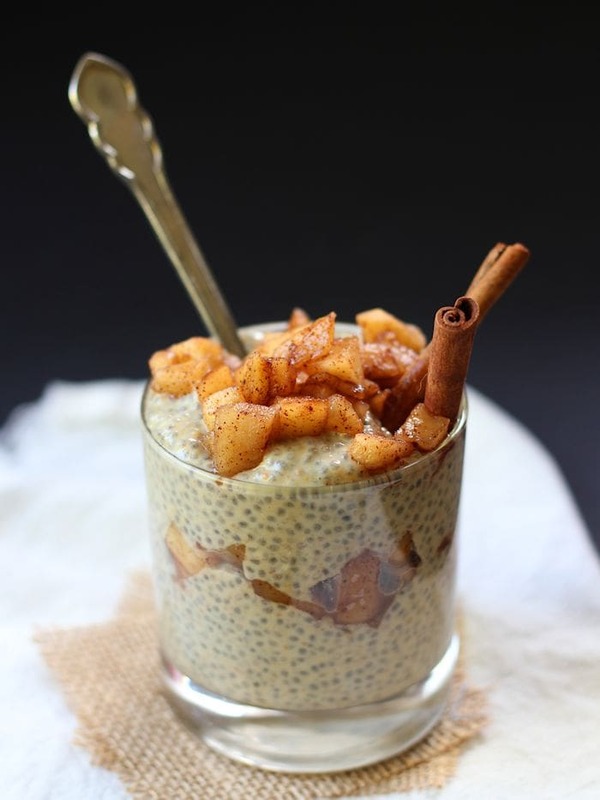 This chia pudding makes an excellent snack or healthy dessert! 9. 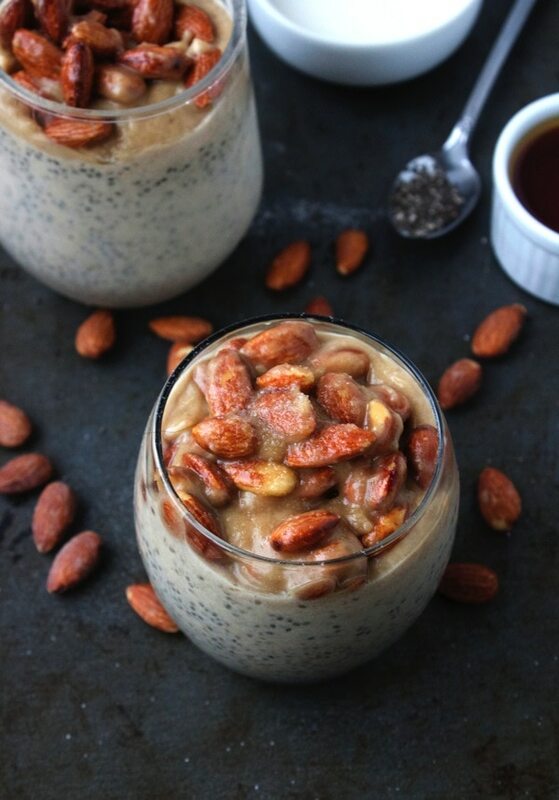 Salted Caramel Chia Pudding by The Almond Eater: Whip up some quick date caramel to use in this salted caramel version of chia pudding topped with almonds. 10. 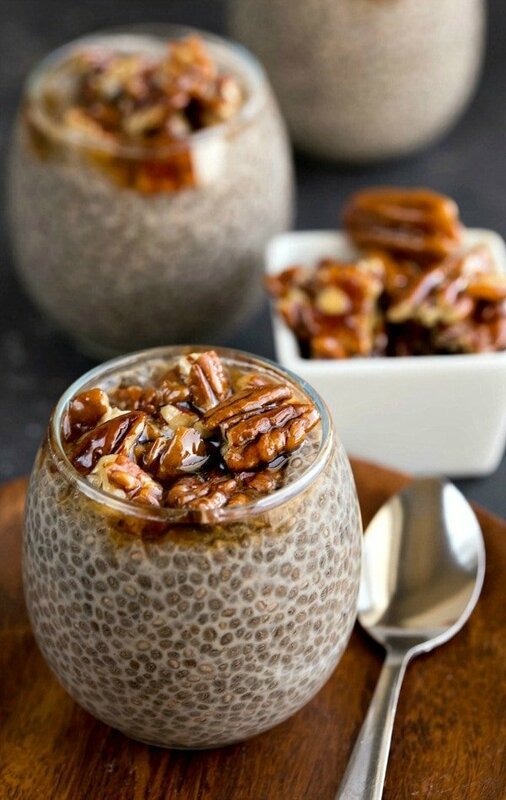 Sticky Bun Chia Seed Pudding by I Heart Eating: A basic chia seed pudding made a little fancy with sweet and sticky pecans. 11. Lemon Meringue Chia Seed Pudding by An Unrefined Vegan: Fresh and zesty lemon paired with almonds and cashews for an extra hearty and healthy breakfast. 12. Cake Batter Chia Pudding by Edible Perspective: Snack, breakfast, dessert, you’ll want to dig into this one anytime you can! 13. 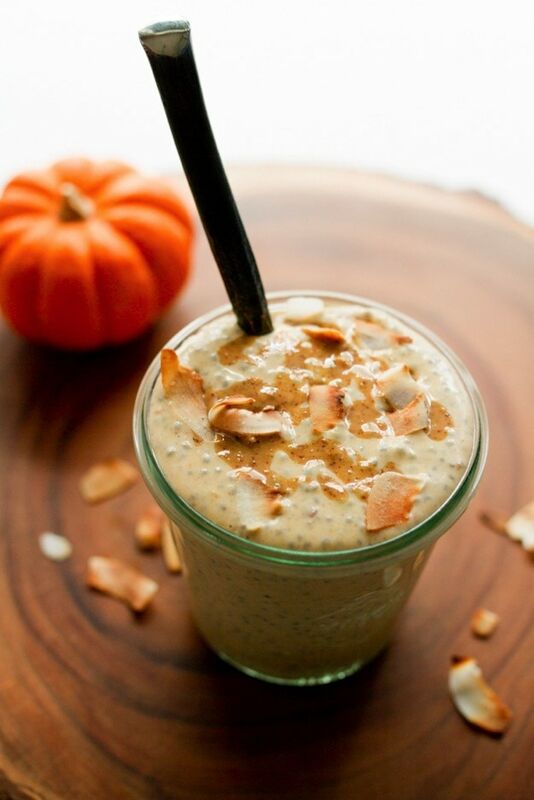 Coconut Pumpkin Chia Pudding by Eating Bird Food: Coconut and pumpkin flavor go together perfectly and maple syrup adds just a hint of subtle sweetness. To make it even more delicious add toasted coconut flakes and little almond butter drizzle over the top. 14. 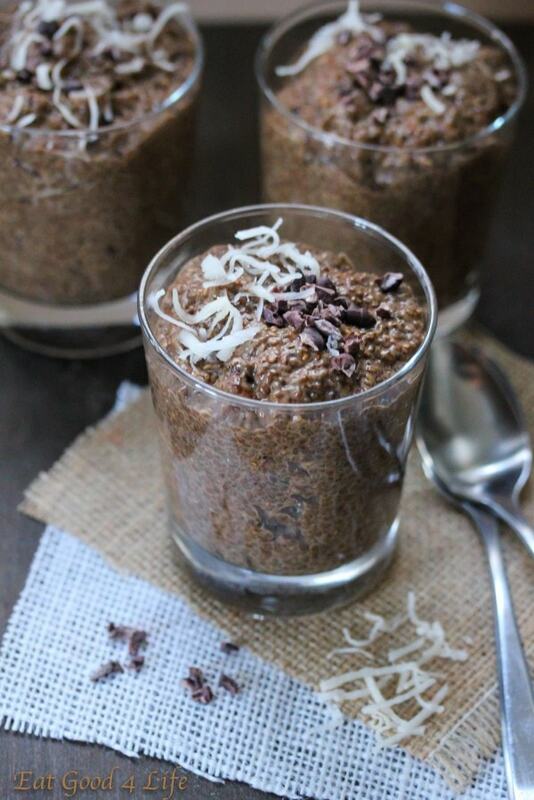 Coffee and Chocolate Chia Pudding by Eat Good 4 Life: Coffee-lovers, this one is for you. Easy to make with minimal ingredients, satisfying flavours like chocolate, coconut and coffee. 15. 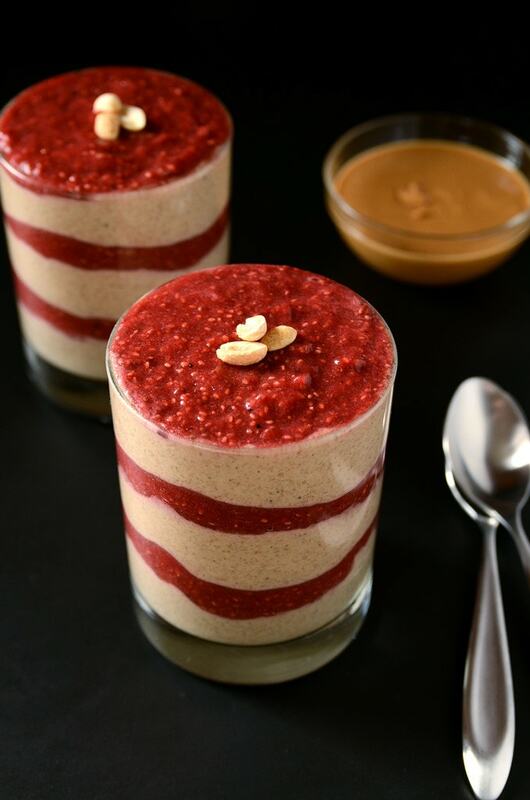 Peanut Butter and Jelly Chia Pudding by Blissful Basil: Ashley appears to be the queen of chia pudding so I may have to change the title of this post to chia pudding by Blissful Basil. PB & J in chia pudding form, oh ya. Thank you to all the wonderful contributors to this round-up. To find all of these recipes and more, visit my Chia Seed Recipes Pinterest board. 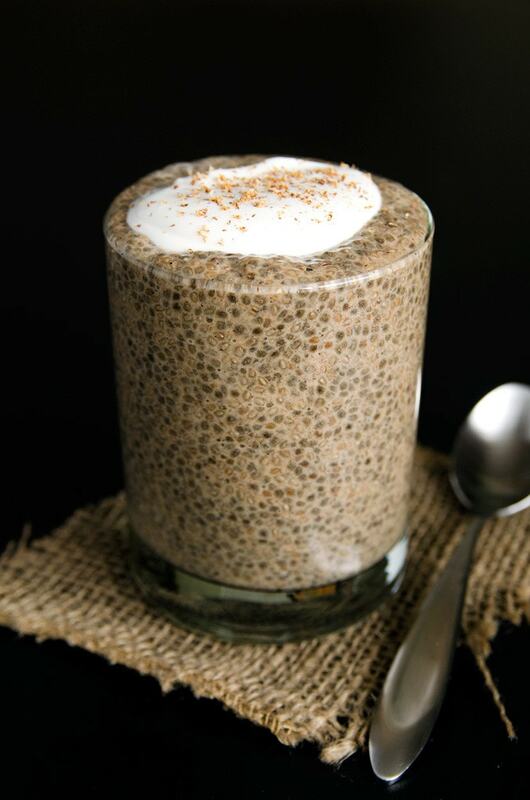 I love chia puddings as a good alterative to my morning smoothie. Again, your photography is amazing 🙂 Thanks for the recipe. This is a fantastic display of chia seed pudding variations! Thank you so much! 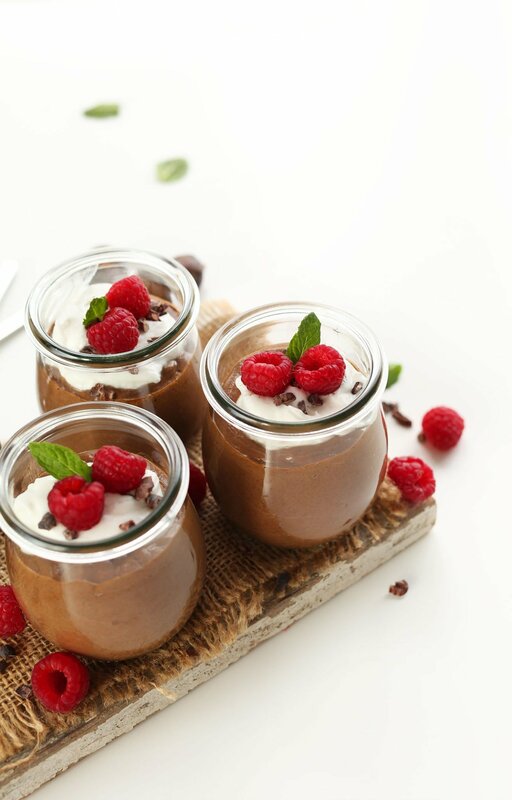 I have shared this will my FB group called “Super quick Plant-Based Recipes” https://www.facebook.com/SuperQuickPBRecipes/ – dedicated to PB recipes that can be done in 20 minutes or less and with as few ingredients as possible and these puddings really fit the bill! I’m sure they will love them and visiting your site too!